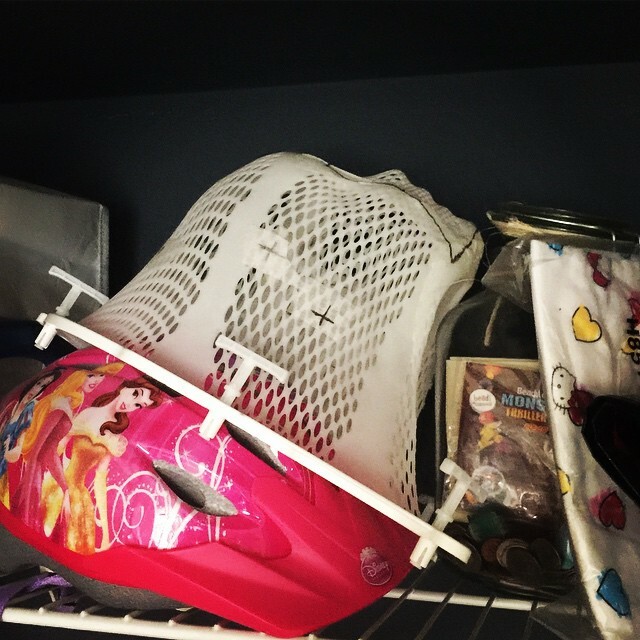 Lying on top of the kids’ closet, supported by a Barbie bike helmet and a keepsake jar, Max’s radiation mask rests both in and out of place. It’s a stark reminder of all we have been through and all we have to be grateful for. To all of my fierce cancer momma friends out there, my heart goes out to us all. None of us thought this journey was possible. None of us expected or prepared for this. There’s no parenting guide that covers this territory. Every single day WE step up, fall apart, lean in, hold on, survive (sometimes barely), love deeply, stress, grieve, create, connect, support each other, loose it, keep it all together, fight fiercely, defend, research, give/gain perspective, live in gratitude, and for too many of us, persevere through the deepest anguish.